Peter is truly a SUPERCOACH! daily basis and can see what works in terms of getting real growth. 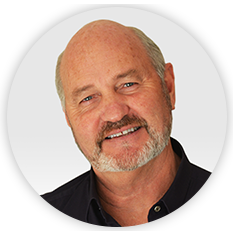 There are two ways you can engage and be coached by Peter, Personal Coaching or Group Coaching. When you are being coached by Peter whether as a selling manager, a manager, or top sales person, it all starts with 1 word... AWARENESS! Peter is not an accountability coach. He will not be responsible for getting you out of bed in the morning. He believes that once you become aware of HOW YOU ARE OPERATING, once you become aware of the games that you play over and over, and once you develop emotional intelligence and an understanding of the strategies that are available to you and your team, then "doing the right thing at the right time" will unfold and GROWTH follows naturally! He coaches STRATEGICALLY!! So sessions with him involve UNDERSTANDING what is happening for you. Then there is a teaching component. You will see sense in the down to earth no nonsense approach he takes to getting you moving forward. He is more interested in what is getting in the way and how to remove that obstacle, than pumping the air and driving forward. “If you want motivation that lasts for 2 days watch Braveheart. This is about doing the real work to figure out what is going on for you that stops you simply opening into the huge possibilities that each of us has." - PG. This coaching technique has life changing effects. Are you a manager or a salesperson? What's the main reason you are looking for a coach? with the manager first to get their "base right". Budgeting. Peter insists that everything stems from correct budgeting. You cannot move forward especially if it is significant growth you are seeking….if it is not rooted in correct modelling and budgeting. We guide you through that process and will come back to it time and time again to make sure your getting this right. A planning system. Just released you will work through an entire …on line…planning system in your office. Annual plans..90 days plans …prospecting plans… management plans ALL ON LINE and easy to use. Soon to be added. We will shortly be adding a full “culture change” system that will work all the way through from management to 360 degree feedback sessions, a wellness program component, and much more, all leading towards making sure your culture is great and in a lot of cases you stop losing top staff!! 1) The scripts strategies, the dialogues and very effective marketing systems to attract existing successful agents to your business. 2) We have huge resources (we believe the best system in the industry) for …attracting..slecting….on boarding….training ….and mentoring new sales people.This includes qualified Caliper profile practitioners on our team.The E-book “raising the bar” and the “am I a fit for real estate” book that Peter wrote to help newbies decide if this is the right direction for them. These systems are reversing the trend of recruitment right now in the industry where 80% of new agents are gone in the first 2 years. Training. Peters training within the real estate industry is legendary now. On you will have access to thousands upon thousands of pages of material and brilliantly strategic sytems and strategies to use as the coaching process unfolds. If your market turns you can use the strategic change video series “15 rules for thriving in changing times”. If re – pricing is needed strategically you can work through Peters brilliant re- pricing video series. Roll plays and how to use them. This is a massive system of training the team!! Please note…during the coaching process Peter makes the call when a subject is appropriate for the team. Your entire training needs met right here in this coaching program. Coaching your team. Peter is a master coach. As you work through the coaching process you will learn how to work better with your team. His models for coaching will become apparent and you will move into the leadership/coaching space. Peter works in a strategic way to make sure you keep ahead of the game and the market for your team. Several of his models help you to get consistency throughout the year instead of the up and down “norm” for a lot of offices. Soon to be released. In 2019 Peter will start a 1 year coach the coach program for the real estate industry based on Peter's Conscious Coaching methods. In this huge initiative you will move through all of the skill sets that Peter has mastered over his 30 years of working with top performers. You can enquire now about this program and wether you will be a fit. Branding, marketing and getting called in! Peter is considered an expert in branding having worked through several large scale successful brand launches. How your brand comes alive wether you be a franchise or independent, will be worked on. Prospecting systems. These will be implemented gradually as you work through the process. Digital marketing. It is quite simple . if you rely on the normal strategies we have been using for the last 100 years you will not be here in 5 years!!! Peter and RTI have a full digital marketing suite and system that you will have the opportunity to put into your prospecting arsenal. You need look no further for the future of real estate. Heard enough? Add to this he is an expert in real estate customer service, property management growth, both organically and by purchasing, setting up partnerships, getting OUT of partnerships, multiple office set up and much much more, you have a master coach. 1) Personal coaching. You will speak to him 3x a month one on one for 30 minutes. He will lead you through the process of getting real growth happening in your office or offices. You will on top of that have full access to him. Call him, text him e mail him if you need him and the response will be there. Check your latest video through him, a script for a marketing letter, just send it through. Discount on seminars and full access to THE VAULT Peters online management treasure trove of 100’s of videos, systems and strategies.You will also have access to the COACHING CAFÉ, which is the equivalent for sales people with 100’s more videos, sales strategies, 100’s of pages of scripts, dialogues and role plays. You can use the time allotted to have Peter work with your sales team, your admin, your property management team and in some cases your partners both in business and in life!! ($1500 + gst monthly). 2) Coaching Cafe for Managers. Would You Like Peter Gilchrist as a COACH IN YOUR CORNER? An Interactive Strategic Coaching Group Like No Other Available To Management.Like having a super coach on your board. Monthly webinars to interact with a super coach. Training sessions live & direct into your office, video material, strategies and how to implement them all right at your fingertips on Coaching Café. An interactive coaching site where you can be guided through all the various topics. Monthly training sessions on topical issues, direct into your office, or use the recordings at a later time. Questions answered in the monthly Q&A Webinar, and Peter’s suggestions re-worked for all to hear in the Coaching Room. Strategy Room - where relevant issues are answered in a clear and logical way, linked to the relevant training material available. Video’s, masterclasses and training sessions on management issues, all here for you as a coaching resource. We will design the ideal coaching for you, for 12 months. Follow the recommended steps and monthly coaching focus and you will work through the 12 month coaching plan. Management Bootcamp 3 Day Management workshop, all online available in the Coaching Cafe, with presentation, workbook, worksheets, and video! You ony have to decide one thing……..IS …..IT…….TIME? Time to take your business to the next level. Some thoughts about who should come on board. You have plateaued on a level of turnover and income that is not high enough for you. There is more business out there but you just don't seem to be able to bring it in. You want to start multiple offices but need the structure to do this. You are a selling manager but struggle to have the systems in place to grow the team beyond where you are now. You have low market share with a huge opportunity within your area to grow the business exponentially. You cannot see the way forward right now. You want to fire on all cylinders but you can neither figure it out or get the time to get what is needed in place. It feels sort of “lonely” where you are and you would love to be able to hear new ideas, cutting edge strategies and mix with like minded growth exponents. Are you number 4 -5 in your marketplace? You don’t have the strategies to close the gap, but you want to. Your office is growing fast but you need the systems in behind you to keep it going? You are doing well right now. Growth is happening, but the thought of going even harder seems outrageous? You are working so hard you have no time for you? Or your family? You have a queue outside your door from 8.30 in the morning and it doesn’t go away till 5.30. So you stay late? You are trapped by the team you currently have. They resist any forward momentum. successful sales people to the next level. To get someone on $400K+ GCI to $800K+ GCI is now almost a given. Again it starts with awareness. You will do your values to begin with to see what is the most important thing to you right now. Then you will do a Caliper assessment to see where the “blind spots” are in terms of growth. Then the coaching kicks in, to work out the best strategy for you. Once this is done between you and Peter, then all applicable resources are made available, focussed on getting you moving! Sessions are held on Skype, 30 minutes on Skype with Peter covers a huge amount of ground. This is no cookie cutter one size fits all coaching. This is a relationship with a master coach focusing on you and your potential. Some have gone up 1 million dollars in just 6 months working with Peter. If you want to see what you are really capable of then contact us. Coaching on this basis is $1400 + GST a month. You are a good salesperson but have plateaued on a number. You know you can do more. You are simply not getting called in to listings. You don’t know why. You have tried to work with PA’s but it never came off. You are doing well. But you KNOW there is a lot more business out there and you do not know how to get to it. You are great at selling, but you’re a nightmare in the admin behind that and no one seems to be able to help you get sorted. This is what we do with coaching. Call us now to get this show on the road. Please note that from time to time, Peter's coaching may be full. ability to order a “bulk” coaching deal. Peter has several clients where a monthly fee is worked out and the manager can decide who is working with Peter at any time. You as manager can put someone on to work with Peter, then 3 months later get him to switch and work with others in your team. This works very effectively!